The Kid and I recently made a return visit to the Forecastle music festival in Louisville. Our adventure again gave us the opportunity to sample wares of the nomadic version of California’s Pie for the People. The end result was my realization that the first time out, I slightly under-estimated the quality of their tasty pizza. We each had a festival-priced $5 plain cheese slice which actually had come down a buck from last year. 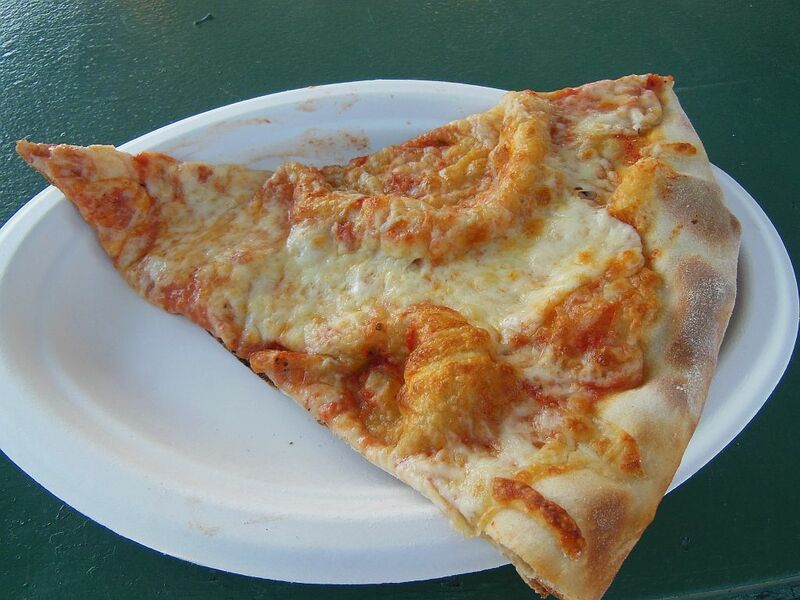 Specialty slices such as the “Bowie” (thin and white like his “Thin White Duke” persona) were still $6. 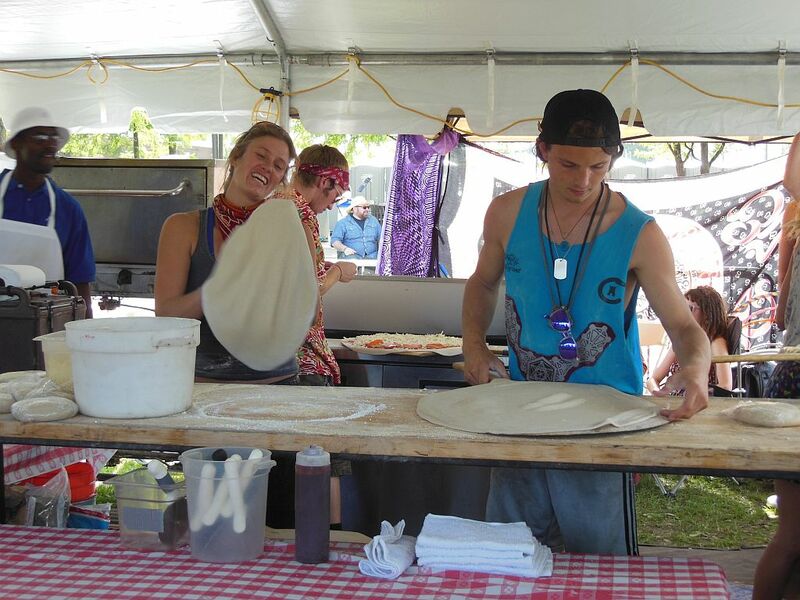 Our slices came out fresh and hot after only three minutes in one of their travelling conventional pizza ovens. Their pie still remains somewhat un-classic with the cheese a little too bright-tasting, and the tomato sauce a little too light both in color and flavor. However, I give it high marks for its tasty delicious coating of oil and its “Triple-C” crust (crispy, crunchy and chewy). 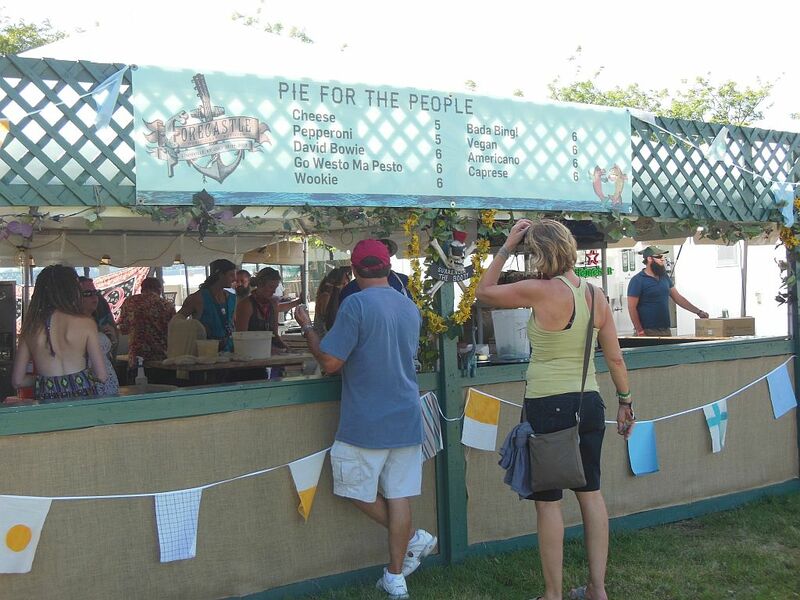 Pie for the People was certainly one of the top food items available at the festival, and I look forward to going back next year to enjoy it again.